While driving along NC Highway, it may be difficult to identify the little town of Waves. 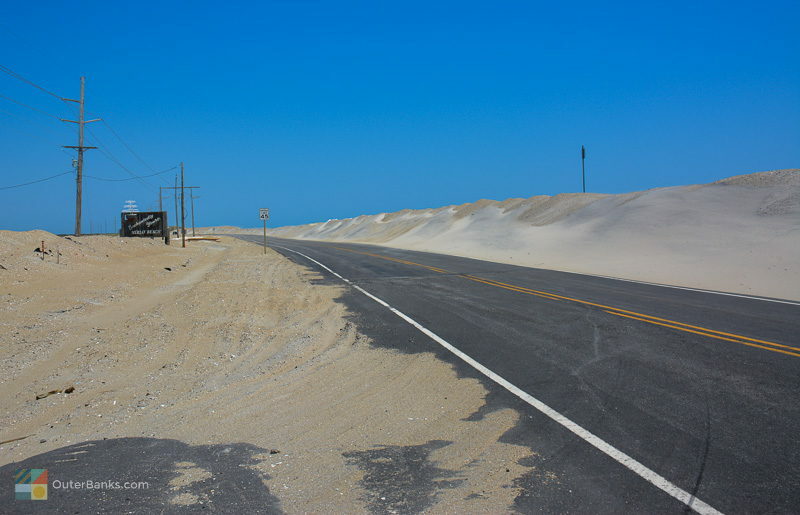 The village is sandwiched in between Salvo and Rodanthe, and the area in its entirety is known to locals as the "Tri-Villages," with no undeveloped gaps or markers to distinguish one small vacation town from the other. That's not to say, however, that Waves is lost in the shuffle. 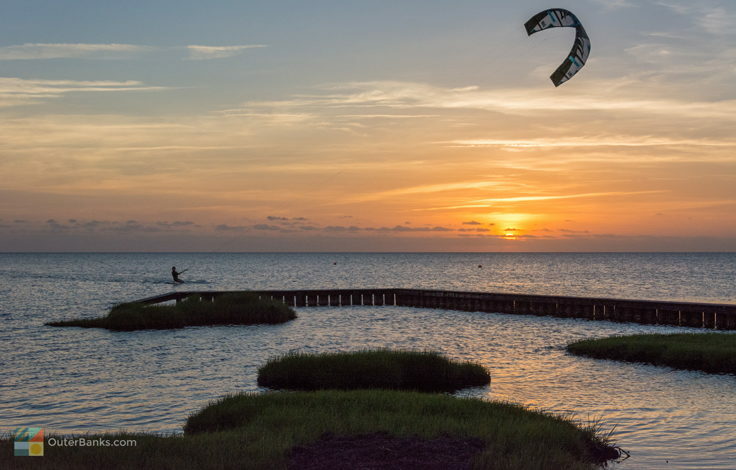 The town is home to two of the Outer Banks, and arguably the East Coast's, biggest water sports companies, features a small number of charming restaurants and cafes, and offers superb access to gorgeous oceanfront and soundfront beaches. Waves may be a small town, but it's big on coastal appeal, and vacationers will surely love the quiet beaches, charming shops, and miles of water to play in and explore. Watersports - Waves claim to fame is being the home of not one, but two water sports giants' extensive shops, training, and school facilities. 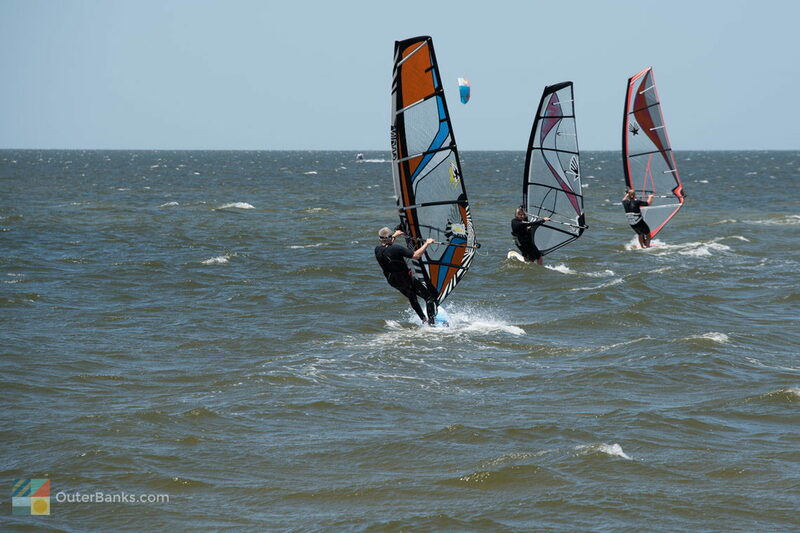 REAL Watersports and Kitty Hawk Kites are both nationally renowned as leaders in the water sports industry. Kitty Hawk Kites covers all on-the-water adventures, from kayaking to hang gliding, while REAL is dominant in the local kiteboarding scene. 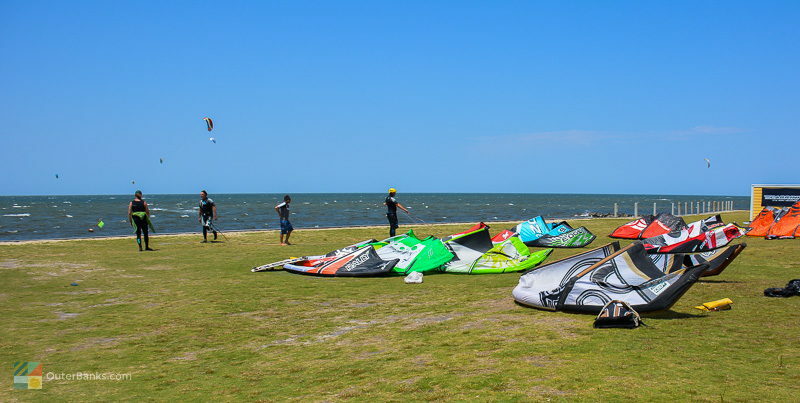 In fact, because of the popularity of the sport of kiteboarding along the Pamlico Sound, both companies have constructed massive complexes where vacationers can stay, shop, and spend days riding the wind and waves. 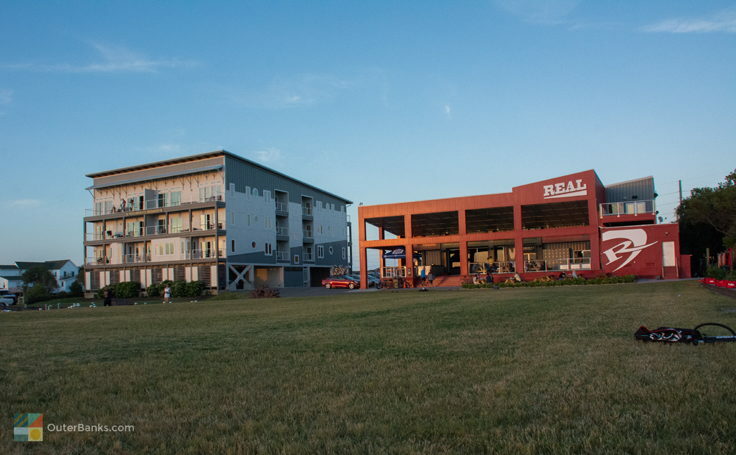 Both the Kitty Hawk Kites and REAL Watersports complexes offer soundfront cafes for incredible post-riding refreshments and views, comfortable soundfront condos available for rent, a pro and rental shop for equipment, and a number of classes or schools throughout the year. 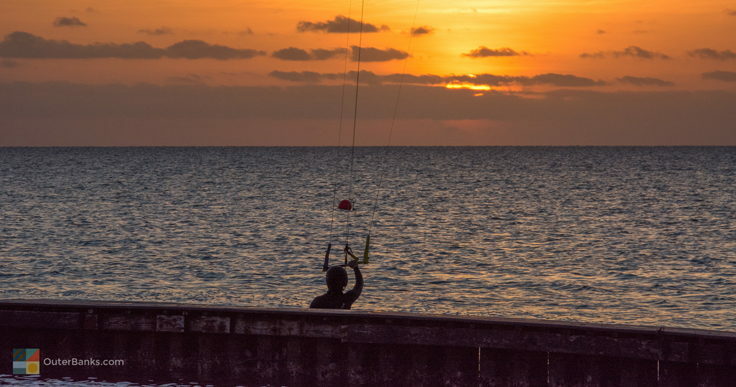 In the town of Waves, kiteboarding novices can spend a week fully immersed in the sport, and leave at an advanced level, ready to tackle lifts, flips, jumps, and even the more unpredictable ocean waves. 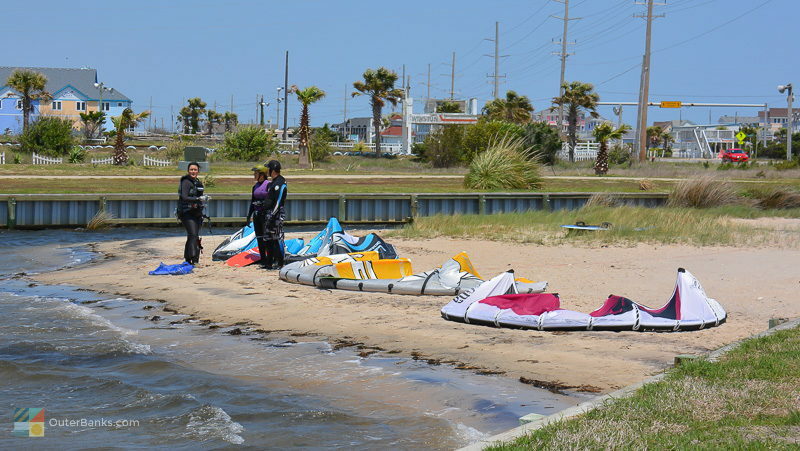 Students can opt to take an afternoon kiteboarding lesson that lasts just a couple hours, or enjoy a kiteboarding camp that can last for a week or even more. 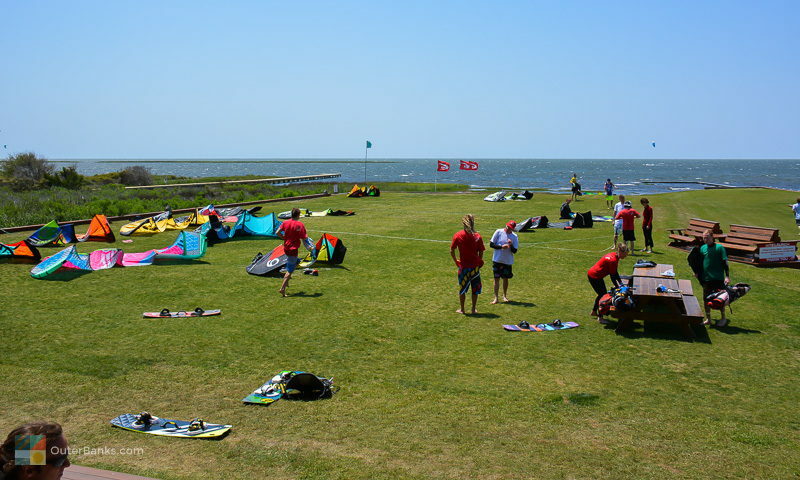 Regardless of how much learning and kiteboarding you want to do, both complexes also have exceptional rentals and shops to help you find the right gear, and get a little guidance on the fly on what to expect in the ever-changing Pamlico Sound water conditions. Fireworks are not permitted in Waves. There are no lifeguard stations in Rodanthe. Don't worry if you have trouble figuring out where Rodanthe ends and Waves begins - the town has had a bit of an identify complex since the early 1800s when it was simply considered a part of "Chicamacomico," named after the local Native Americas, with a small portion of the area known as "Wimble Shores." (Observant visitors will notice that "Wimble Shores" is now the name of a road, as well as a vacation home community.) In 1874, the U.S. Postal Service changed the name of the entire northern portion of the Tri-Villages to simply "Rodanthe," and as the community gradually grew with locals, fishermen, and Lifesaving Station employees and their families, Waves became big enough to be called "South Rodanthe." Despite this, the confusion persisted on, until the U.S. Postal Service finally gave the central village the name of "Waves" in 1939, along with its own Post Office. Waves remained relatively undeveloped, explored solely by occasional adventurous hunters and fishermen, until the 1960s when the Herbert C Bonner Bridge opened, and vacationers from the established northern Outer Banks towns of Nags head, Kill Devil Hills and Kitty Hawk finally had a ferry-free way to explore the beaches of Hatteras Island. Developers took interest, and by the early 1980s, Waves was a true vacation destination, with well over a hundred vacation rental homes for Outer Banks visitors to enjoy. Today, Waves is home to a handful of the classic beach cottages that first popped up on the shoreline, as well as a number of larger oceanfront or soundfront castles, complete with private swimming pools, theater rooms, game rooms, multiple levels of living space, and gourmet kitchens. Waves vacationers are also attracted to a handful of local campgrounds, including branches of nationally-recognized chains. These campgrounds not only have RV hook-ups and oceanside spaces for tents, they offer a world of amenities, and their own little "resort" within the campers' community grounds. Many campgrounds in Waves offer community pools, playgrounds, ocean and sound boardwalks, gazebos and sitting areas, and even game rooms and on-site stores or restaurants. 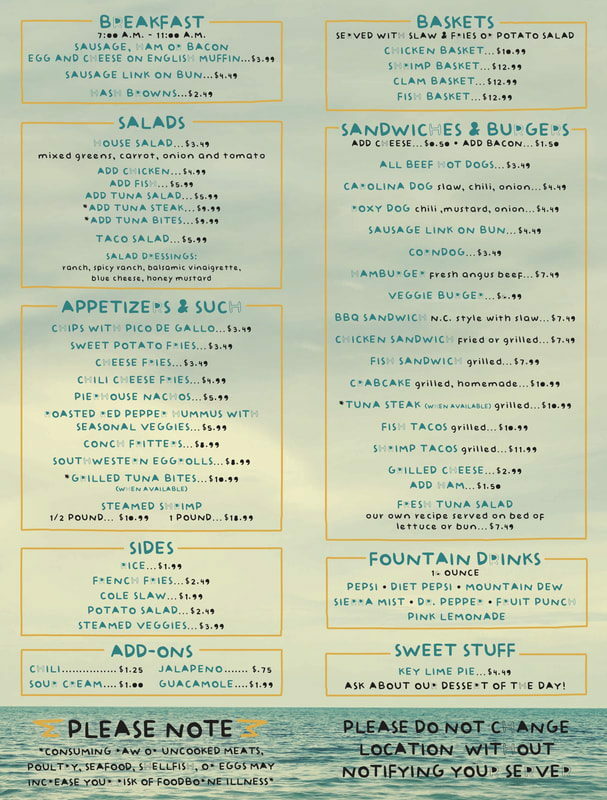 For visitors who are in search of a camping trip that feels more like an all-inclusive resort, Waves is one of the best places to visit on the Outer Banks. Of course, kiteboarding isn't the only water sport Waves has to offer, and as the town name would suggest, there's plenty of fun to be had on the oceanside too. Because of the town's small population, (which is even smaller in the fall and winter months), visitors can expect to enjoy miles and miles of quiet beaches with plenty of room to spread out. The beach fishing in Waves is good, and during the spring and fall Red Drum runs, becomes exceptional. 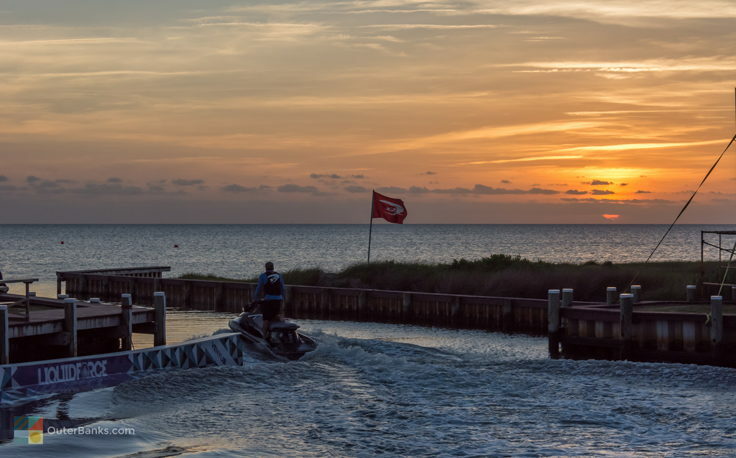 Anglers will find a handful of locally run tackle shops, like Hatteras Jack's, that have lifelong locals on hand to answer questions on the Hatteras Island fishing conditions. Surfers, of course, have not been forgotten as Waves has a number of decent breaks when the waves are good, and beachcombers will have fun exploring the sand, especially post-storm when the beaches can be covered with an assortment of treasures, from starfish to shells to sand dollars. Bear in mind that the beaches of the tri-villages are protected by a "double dune" system, which means that even an oceanfront home will be a several minute walk from the ocean. However, many vacationers find the seclusion, the uninterrupted views, and the miles of desolate ocean landscape worth the trek. It should also be noted that the town of Waves is part of the Cape Hatteras National Seashore, which is overseen by the National Park Service (NPS), so any and all Park Service rules apply while on the oceanfront beaches. These rules are limited however, and beach goers can bring their pets (provided they are on a leash), enjoy a beach bonfire, and take full advantage of life on a sand bar. As for grub and shopping, the small town of Waves offers a handful of restaurants and cafes, a local deli, and quite a few convenience or "variety" stores to stock up on the staples. Chain grocery stores are located somewhat nearby, (either 15 miles south in Avon, or 25 miles north in Nags Head), but many vacationers find that one big grocery shopping trip is more than enough to cover a week's worth of Waves fun. 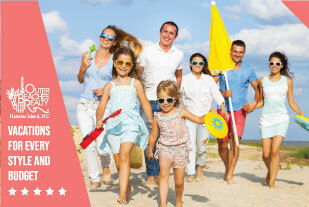 For families who are looking for a quiet retreat that's still a half hour drive from the major northern Outer Banks attractions, Waves is an ideal destination. Secluded and family oriented, visitors won't find a lot of nightlife, but they will find charming ice cream shops, locally run restaurants, and miles of starry oceanfront skies. If your family is considering a vacation that's close by still completely away from it all, then the often overlooked village of Waves is definitely worth a second glance. How do you get to Waves, NC? 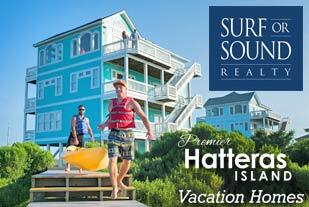 Visitors can take NC Highway 12 south from the central Outer Banks to reach Hatteras Island and the town of Waves. What is there to do in Waves, NC? Waves has miles of pristine and undeveloped beaches, and is a popular destination for watersports including surfing, kiteboarding, kayaking, and windsurfing. Lessons and equipment rentals are available at several area businesses, and the town also has a small collection of shops and restaurants. Where are the beach accesses in Waves, NC? 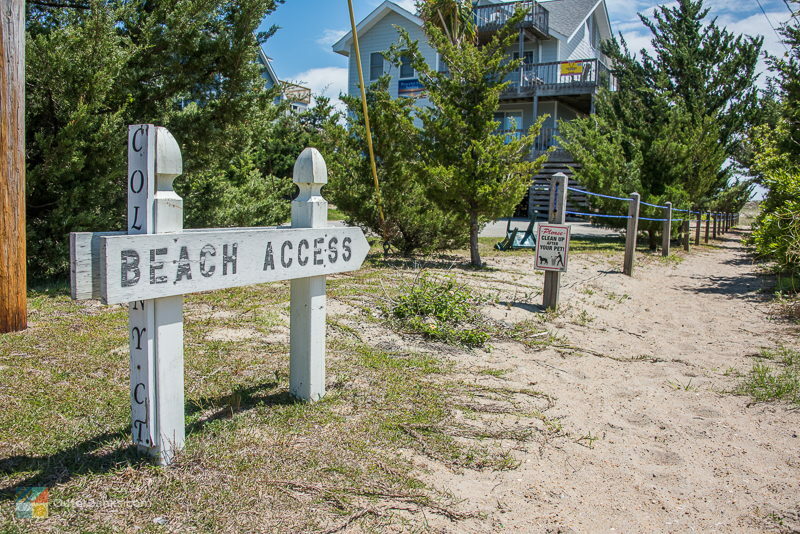 Beach access points are located at the end of virtually every oceanfront street in Waves. 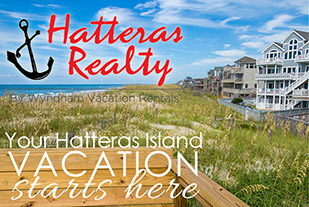 The town’s shoreline is part of the Cape Hatteras National Seashore, so all beaches are open to the public. 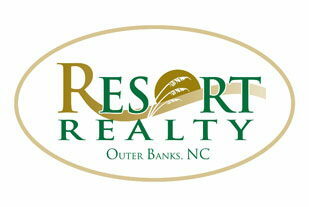 What are the attractions in Waves, NC? 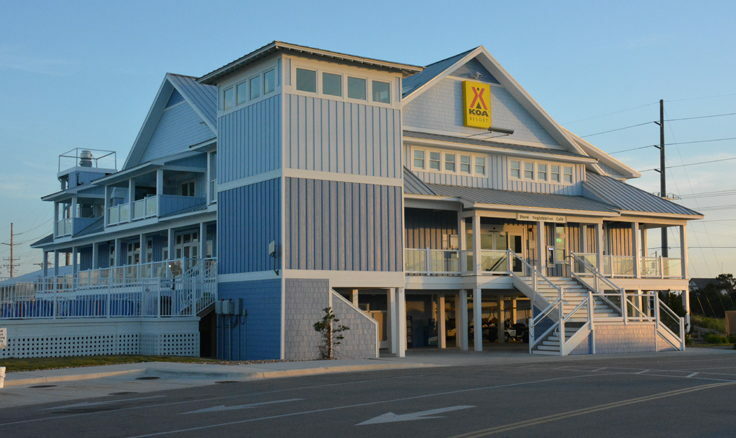 Waves is close to several attractions in the tri-villages, including the historic Chicamacomico Life-Saving Station, the Rodanthe Fishing Pier, the miniature Salvo Post Office, and the “Serendipity” home where many scenes from the 2008 movie “Nights in Rodanthe” were filmed. What are the events in Waves? 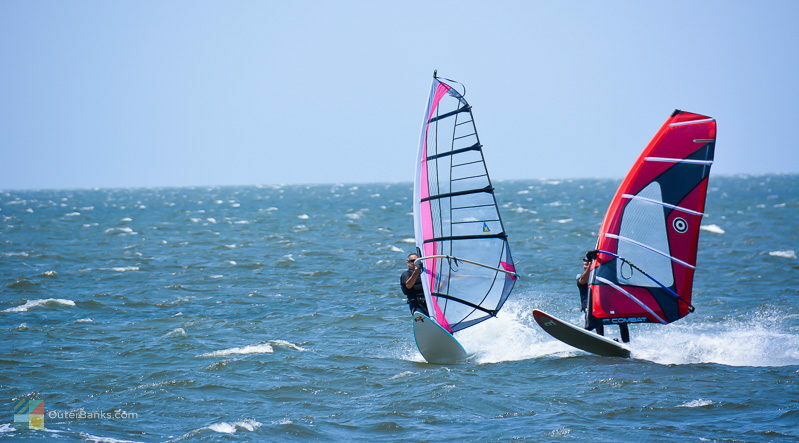 Waves hosts a number of watersports events, which includes the annual Triple-S Invitational kiteboarding competition in early June. 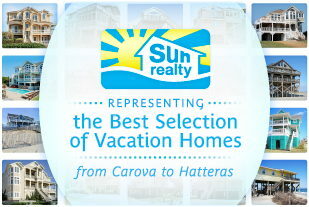 Where do you stay in Waves, NC? Waves has a wide array of vacation rental homes, as well as several watersports resorts, and a number of campgrounds and RV parks. What can you do on a rainy day in Waves, NC? 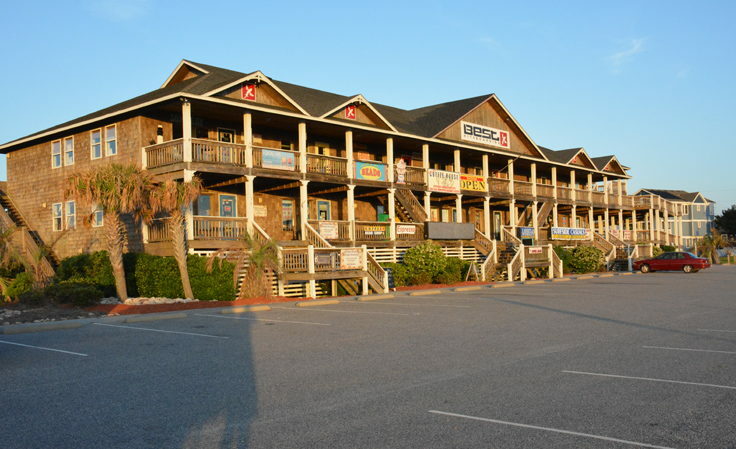 Waves is close to the Highway 12 Amusement Center in Rodanthe, as well as a collection of beach shops, coffee shops, and bead stores. Waves is also a 30 minute drive away from a number of central Outer Banks attractions, including the North Carolina Aquarium. Where can you surf in Waves, NC? Waves is close to a number of popular surfing spots, including the S-Curves in Rodanthe which is located just north of the tri-villages. Are there shells in Waves, NC? Waves has decent shelling, especially after a storm or nor’easter. Visitors can also head north or south of the tri-villages to find isolated beaches with few beachcombers. Where can you kiteboard in Waves? 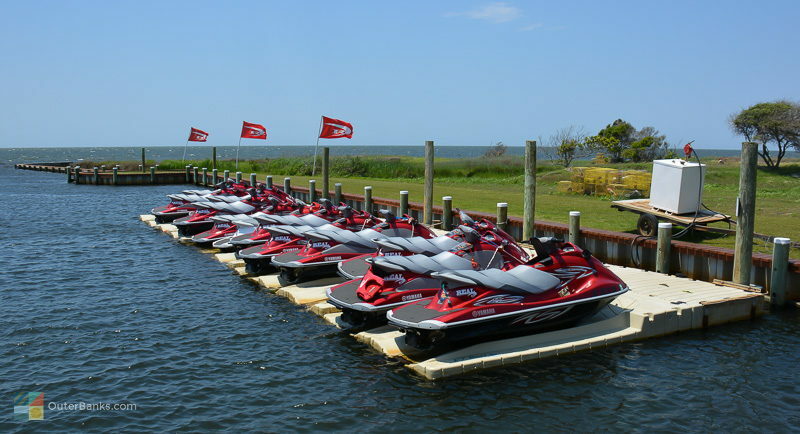 Waves has numerous access points along the Pamlico Sound in residential communities and at watersports shops and resorts. The town is also close to the Salvo Day Use Area, which is a popular parking and launching spot just south of the tri-villages. Are pets allowed on the beach in Waves, NC? Because Waves is part of the Cape Hatteras National Seashore, pets are allowed on the Waves beaches year-round, provided they are on a leash at all times. Are there lifeguards in Waves, NC? There are no permanent lifeguard stands in Rodanthe, Waves, or Salvo, however the local beaches are patrolled by the Chicamacomico Banks Water Rescue team in the summer months. Can I drive on the beach in Waves, NC? ORVs are permitted to drive on the beaches in Waves from October through March, and the town is also close to several ORV ramps just south of Salvo where beach driving is permitted year-round. A Beach Driving Permit from the National Park Service is required to drive on the beaches. Do you need a permit to drive on the Waves beaches? A permit from the National Park Service is required to drive on the Waves beaches, and any beaches within the Cape Hatteras National Seashore. Permits can be picked up in-person at the ranger stations at Coquina Beach and the Cape Hatteras Lighthouse, or can be obtained online. Are beach bonfires allowed in Waves? Beach bonfires are allowed in Waves with a permit from the National Park Service (NPS.) Permits can be obtained online, or at the NPS ranger stations near Oregon Inlet or the Cape Hatteras Lighthouse. When is the best time to visit Waves? The summertime is the most popular time of year to visit Waves, however, watersports fans flock to the area in the spring and fall when water and wind conditions are at their best. What are the air temperatures each month in Waves?